Hvino TOUR NEWS | Tourism Business In Georgia: Georgia's Mestia among "50 Unpredictable And Non-Clichéd Places To Travel To"
Georgia's Mestia among "50 Unpredictable And Non-Clichéd Places To Travel To"
18.03.2015 (Hvino News). The Elite Daily website published a list of "50 Unpredictable And Non-Clichéd Places To Travel To In Your 20-s". 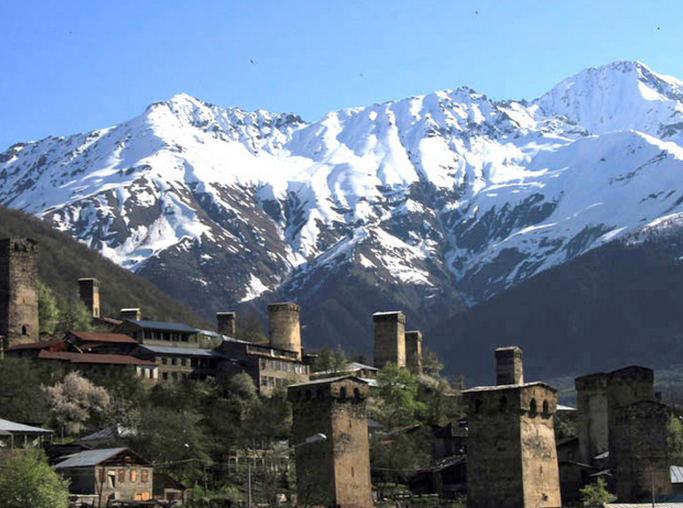 Mestia from the mountainous region of Svaneti is one of the destinations mentioned in the Elite Daily's list. “Mestia is an isolated town located in Northern Georgia, but it’s completely worth the visit. Drink Georgian wine, hike to a glacier, mingle with the locals and experience the epic beauty of the Caucasus mountains”, this is how the website describes the place. ....The hidden gems of the world are becoming hot spots for tourists — so all the more reason to visit these places sooner rather than later", - noted the author John Haltiwanger. Among other "non-clichéd" places to travel, Elite Daily lists Yerevan (Armenia) and Kazan (Russia). Elite Daily proclaims itself to be the voice of so-called Generation-Y (people born after 1980). Founded in 2012, this news website quickly reached huge popularity of 40 million monthly unique visitors.